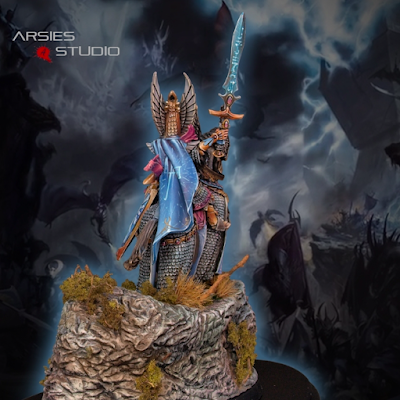 Tyler M here with a special guest article from Tyler E, the proud owner of that awesome Tyrion model that was Mini of the Week a few weeks back. After the mini got such great feedback he approached me with the idea of doing a more thorough breakdown of how he went about conceiving this commission, and the incredible amount of forethought and detail he put into the model before Javier González even started working on it. Without any further introduction here is Tyler E with the stages and process he went through preparing this model, and the back and forth he and Javier had once the conversion and painting started. 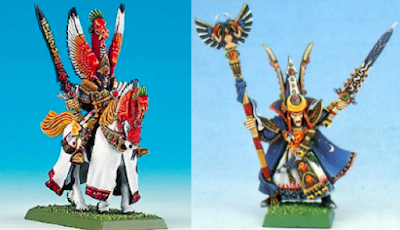 Since I was 13, Tyrion and Teclis have been my favorite Warhammer characters. Seeing them at that age left me in awe (...with thanks to Jes Goodwin and Mike McVey). 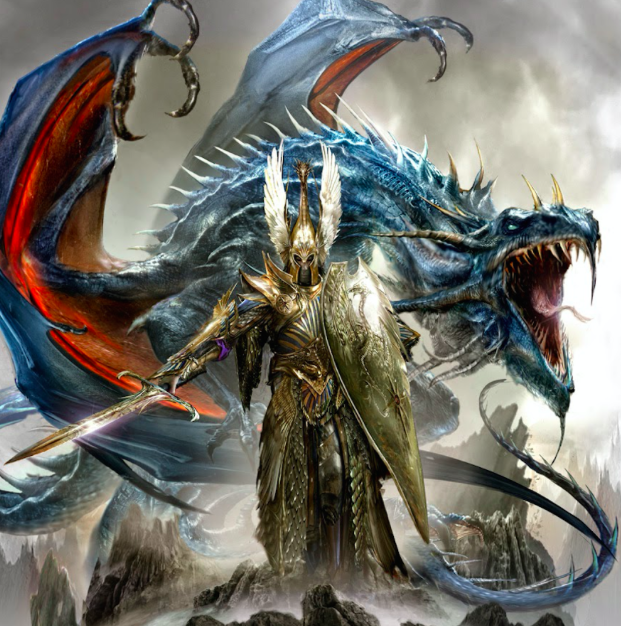 They were intimately linked to Aenarion the Defender, first Phoenix King, greatest High Elf, and guardian of the Old World against the initial Chaos Incursions. Aenarion was the Warhammer Prometheus: the Champion of Light who came to personify both light and darkness, and the tragedy of unintended consequences. 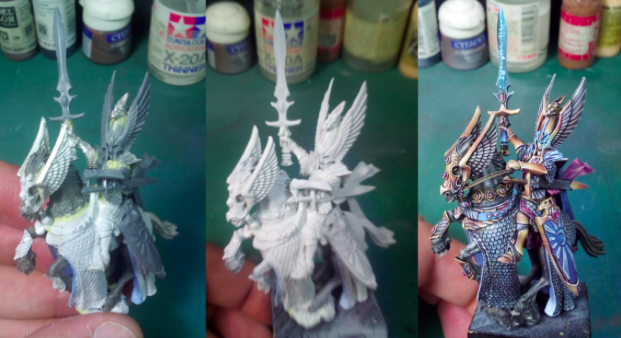 His beloved Astarielle was murdered by N’Kari, a Greater Daemon of Slaanesh, along with (or so he thought) his two children. In his anguish and rage, he vowed to eradicate Chaos, flying on Indraugnir to obtain the most dangerous and most damned weapon in existence: the Sword of Khaine, the Widowmaker, forged for the Elven God of War. This act cursed him, cursed his bloodline, and forever afflicted the future of his race. Millennia after Aenarion, the twins Tyrion and Teclis were born, descendants of his line. They became legends of their age, renowned masters of their art. 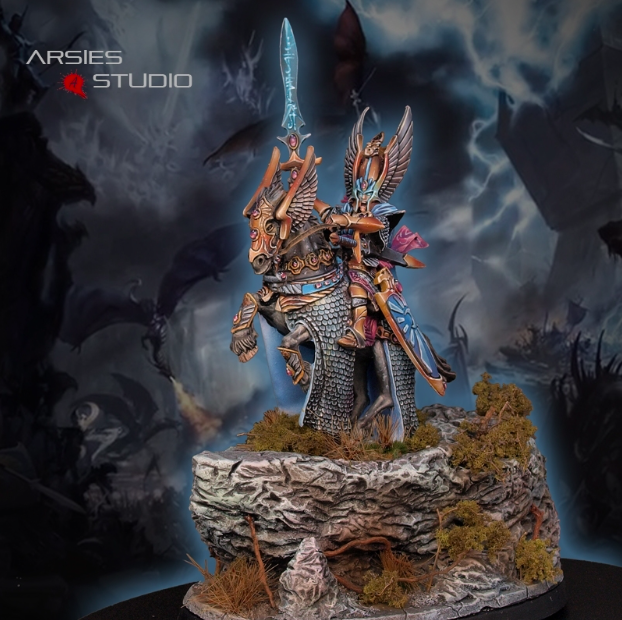 In Prince Tyrion, wearing the famed dragon armor of his descendant, the High Elves saw Aenarion Reborn, a champion destined to return them to glory. And yet, the curse endured. 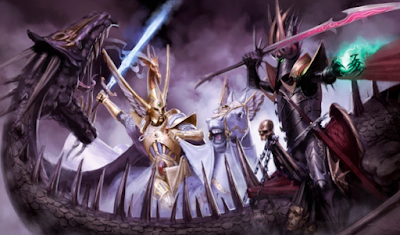 The Curse of Khaine culminated in the third volume of Warhammer: The End Times, bringing to an end a Shakespearean tragedy 6,000 years in the making. Tyrion, Teclis, and Aenarion’s son Malekith were at its heart. It was an unforgettable ending. And it was a beginning. 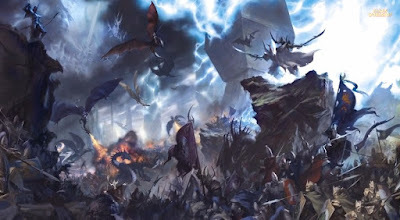 In the new Warhammer: Age of Sigmar, at the end of the Old World, Tyrion awakened in Hysh, the Realm of Light. He and Teclis had survived the cataclysm. Not knowing how or why, Tyrion was now a god of light, the Lord of Lumination, bound to shape and safeguard the realm with his brother. 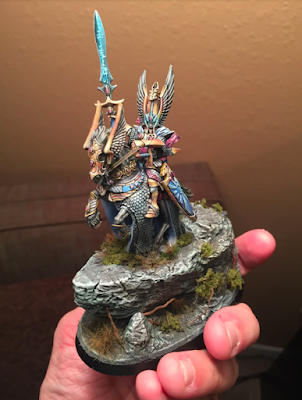 After 20 years, Age of Sigmar brought me back to Warhammer. During that time, a breathtaking version of Tyrion was the one model that I had always longed to have. While his current model is notable, it’s starting to look dated. 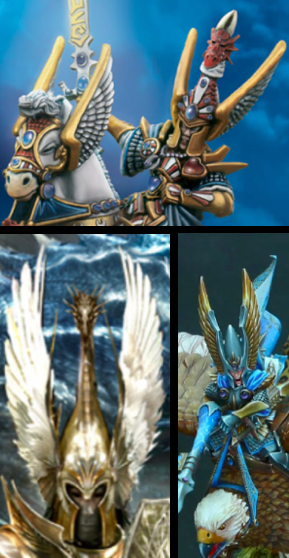 The size and stature is problematic (e.g., compare him to Archaon or the Lord-Celestant on Dracoth), especially in light of his new status. He should feel profound and majestic. With that aspiration in mind, I started working with Javier “Arsies” González, an incredible painter from Spain, on a new version of Tyrion for Age of Sigmar. Tyrion’s steed, Malhandir, was the great grand-sire of Korhandir, the father of horses. 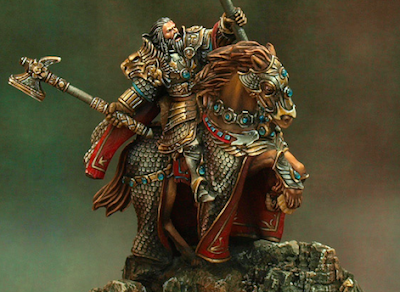 Malhandir was the fastest, strongest, and largest (living) horse in Warhammer, which his model doesn't quite reflect. We thought Valten's elven steed was a better reflection. Javier added Malhandir’s helm wings, along with a stirrup for Tyrion to hold. 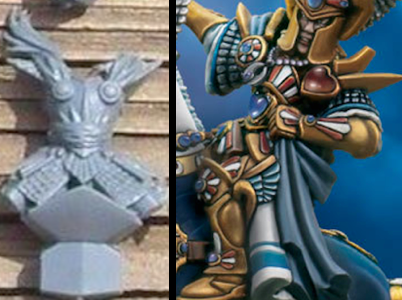 Tyrion’s original helm felt inelegant, and we wanted helm wings reminiscent of Aenarion’s. The Island of Blood’s High-Elf-on-Griffon helm was perfect. Javier used milliput to integrate Tyrion’s dragon crest with the new helm. Since Tyrion often battles immense foes, we elevated his base. 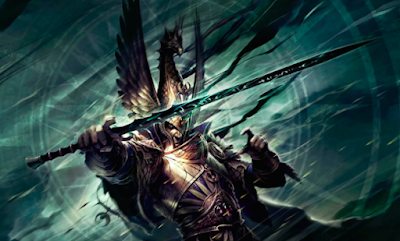 Javier also replaced Tyrion’s original sword with the High Elf Noble’s great sword, adding freehand elven runes to the blade to ensure that it felt like Sunfang. We used the High-Elf-on-Griffon’s body, especially since we liked how the arms were positioned and how the cloak connected and laid over the shoulders. In that regard, Javier sculpted and painted a custom cloak extending from the shoulders. He also converted one of the breastplate circles to Tyrion’s Heart of Avelorn. We wanted Tyrion's eyes to glow to help portray him as the Avatar of Light. We hope you like the model. Additional photos are at CoolMiniOrNot. 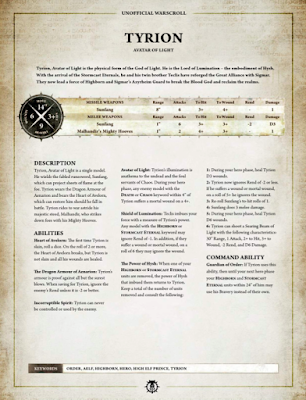 To accompany the model and represent Tyrion, Avatar of Light in the Age of Sigmar, I created a new (unofficial) warscroll, below, which builds on the existing one. While most of Tyrion's stats remain the same (except Malhandir’s movement, which should be at least 14” since he was the fastest living horse in Warhammer), the unofficial warscroll adds four new abilities and modifies his command ability. 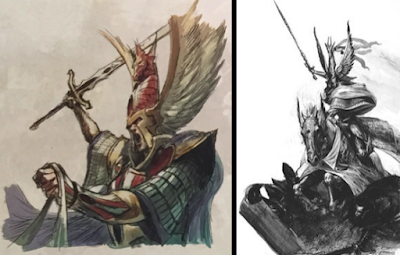 Special thanks to the creators of SDK and Azyr for their estimates, and Vince Venturella for his feedback on the draft (...and if you don't like it, it’s not his fault). In my campaign narrative, to become a guardian and wear the Armor of Azyrheim is among the highest honors for an Eternal. They are paragons of the Storm. Age of Sigmar Directory: Curated resources covering articles, podcasts, battle reports, tactics, reviews, comps, supplements, adaptations, and more. 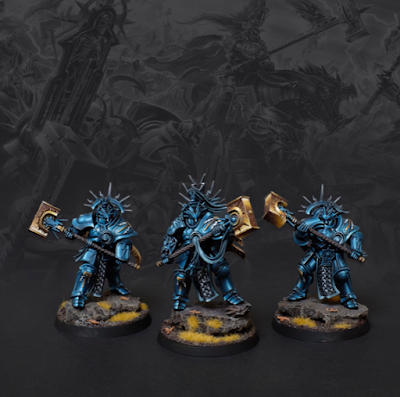 Age of Sigmar on Twitter: A recommended list of folks to follow. Scruby & Wells: My new Twitter feed focusing on Warhammer content. I’d just like to sincerely thank Javier González for bringing to life a 20-year-old dream. 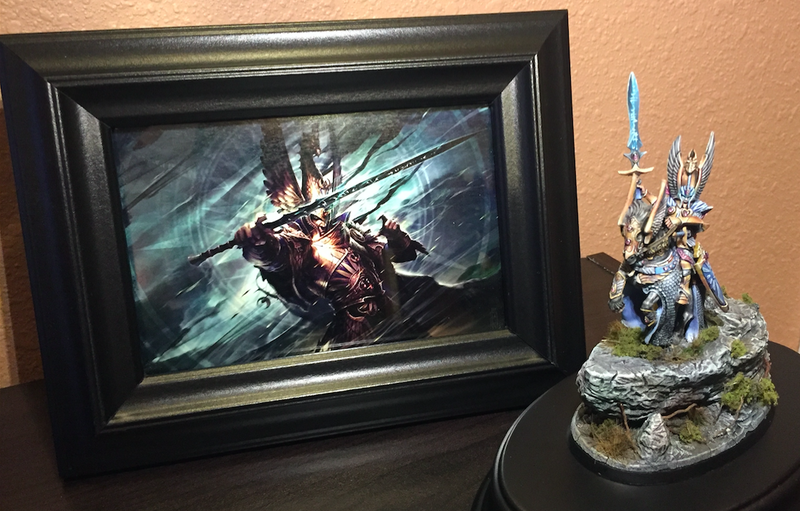 He created a miniature that my friends will enjoy and that I will treasure forever. 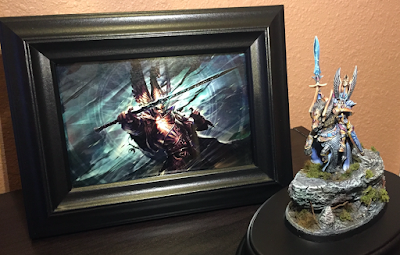 I’m very grateful to the painters and makers who bring beauty to our hobby. Tyler M: A special thanks to Tyler E for taking the time to write this and to Javier González for bringing his vision to life.